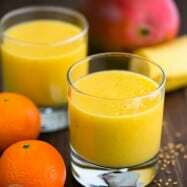 As part of our “healthier new year” goal, we’ve been blending daily smoothies in leau of a meal (usually instead of breakfast). 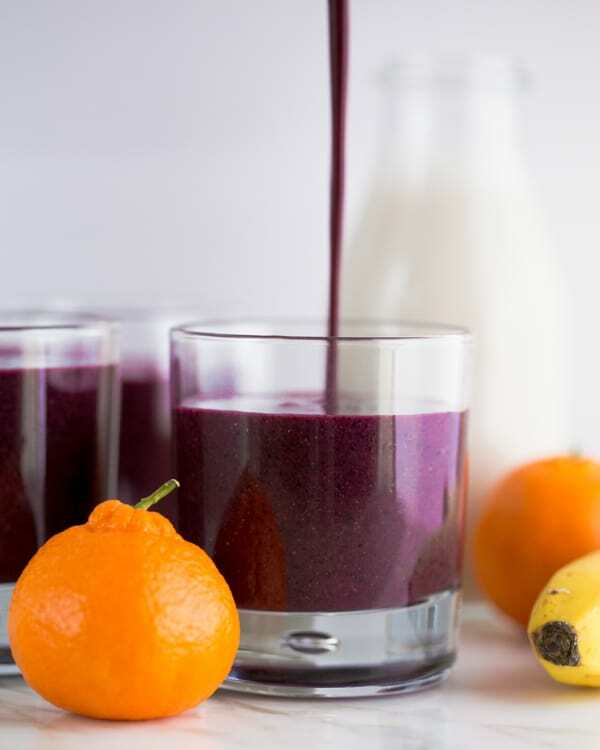 It’s weird how this blueberry smoothie can keep you feeling full and satisfied all while giving you some serious feel good energy. 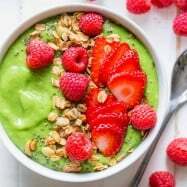 Since we welcomed our Blendtec Blender into the family, we’ve been experimenting with smoothies almost daily and we’ll be sharing all of our favorites with you. 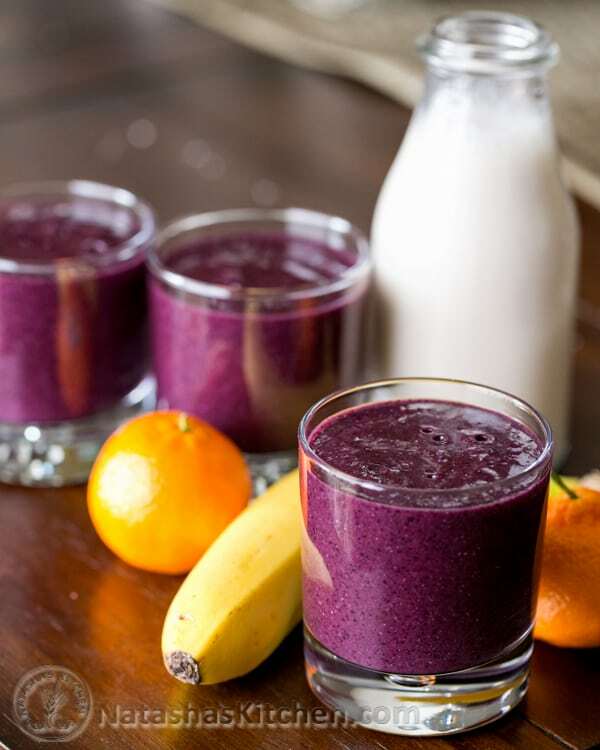 What makes this purple smoothie fantastic? I’m glad you asked. Well, first of all, it’s purple. 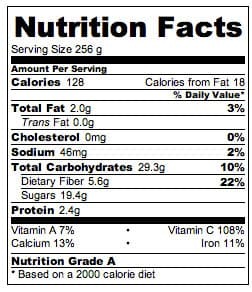 Secondly, blueberries are a powerhouse of antioxidants. They are known for their ninja-like ability to fight off free radicals. We also used almond milk and if you haven’t tried it, go on and give it a whirl. Trust me my peeps, it makes the smoothie velvety and adds a subtle nutty appeal. 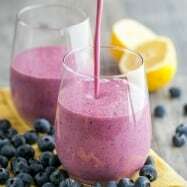 The almond milk also has Calcium, Vit E and Vit D. Most importantly this blueberry smoothie is deeee-licious. 1. 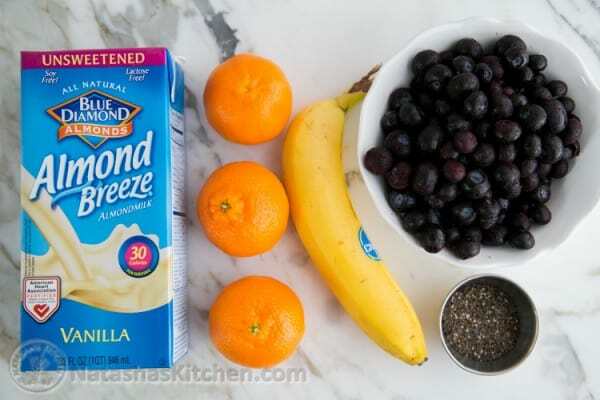 Add everything to the blender in the order listed (1 cup almond milk, 1 Tbsp chia seeds or 1 Tbsp of flex seeds, 1 banana, 2 oranges, and 2 cups froz blueberries) and whirl to the desired consistency. 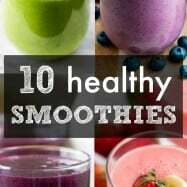 If using a Blendtec, push the smoothie button and watch it go! Serve right away (if using chia seeds, it will thicken as it stands). 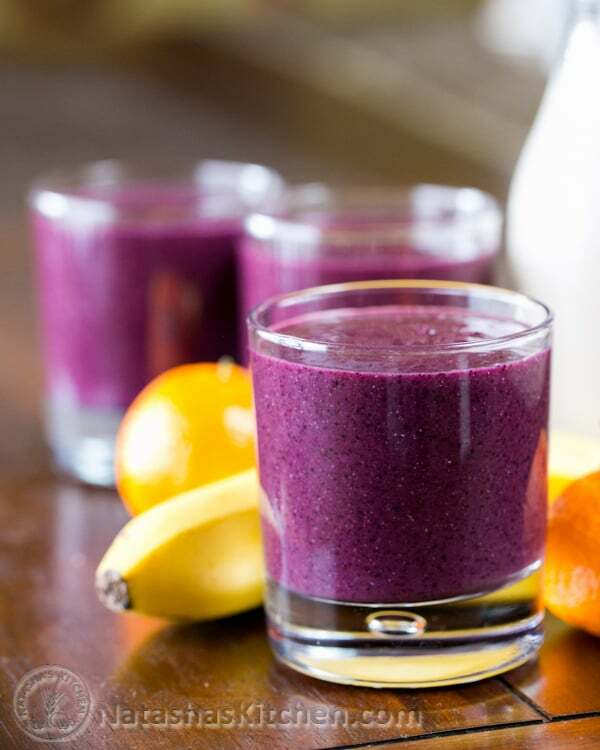 What makes this purple smoothie fantastic? I'm glad you asked. Well, first of all, it's purple. Secondly, blueberries are a powerhouse of antioxidants. They are known for their ninja-like ability to fight off free radicals. We also used almond milk and if you haven't tried it, go on and give it a whirl. 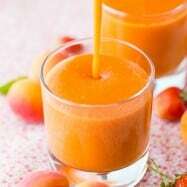 Trust me my peeps, it makes the smoothie velvety and adds a subtle nutty appeal. 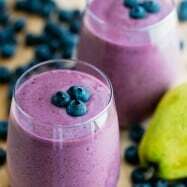 The almond milk also has Calcium, Vit E and Vit D. Most importantly this blueberry smoothie is deeee-licious. Add everything to the blender in the order listed (1 cup almond milk, 1 Tbsp chia seeds, 1 banana, 2 oranges, and 2 cups froz blueberries) and whirl to the desired cosistency. 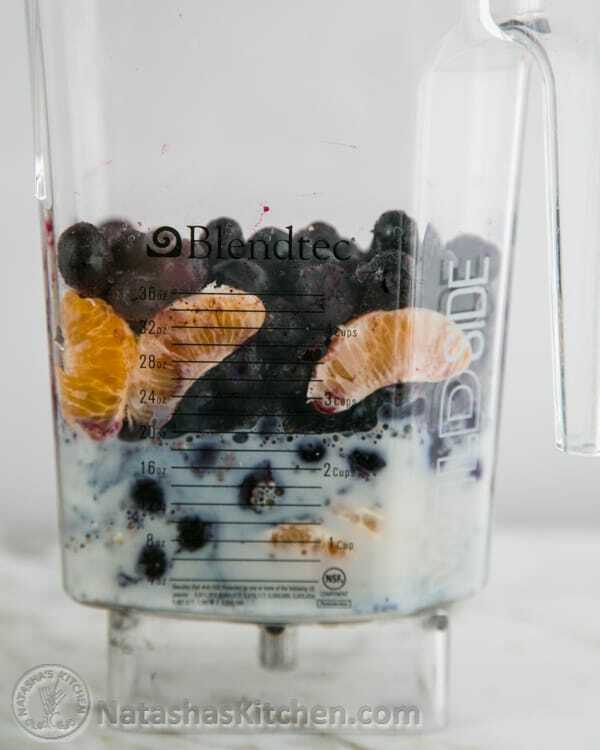 If using a Blendtec, push the smoothie button and watch it go! I’ve been following your site since early 2010, it’s amazing how far its come, great job! Just wanted to thank you for all your great recipes. I didn’t have any reliable family to pass on their cooking skills from the motherland, great thanks is owed to you and the existence of your site that im able to provide my family with some delicious meals. Looks so delicious! I want one right now. I buy almond and coconut milk -Almond Breeze brand because of Lactose free product and this is the only milk that taste so delicious. But I never used it in my smoothies, wow…..Thanks for posting the recipe, now I am going to make my smoothy with this milk.